Exclusive range of motor Polytron oils and treatment is designed to minimize friction, heat and wear in a wide variety of applications, providing superior protection of machinery and increasing the reliability of the equipment. 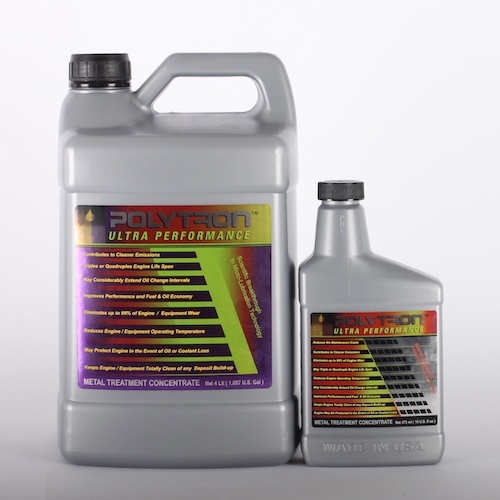 Polytron Engine Treatment is a unique 100% pure petroleum-based metal treatment that is compatible with all mineral and synthetic oils. It is engineered specifically for use in all Diesel, Petrol and LPG engines. The product is formulated to enhance your engine’s oil. 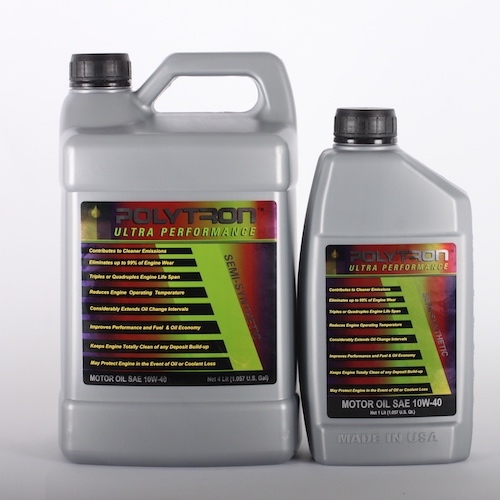 Polytron contains antioxidants which increase the engine oil’s tolerance to high operating temperatures. This results in increased lubrication over a longer period of time. 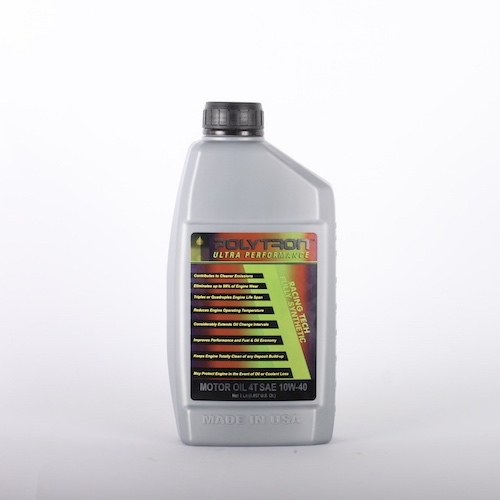 The action of the antioxidant in Polytron reduces friction and will extend the life of your oil and engine. Polytron is effective under the most severe operating conditions. The product is non-corrosive and is compatible with all metals and engine seals. Because Polytron Engine Treatment contains no solid lubricants it does not produce the sludge associated with some other products. Polytron helps break the cycle of heat caused by friction. Constant friction can ultimately cause engine failure. As the temperature of the engine oil increases, it becomes thinner and flows away from the source of the heat. 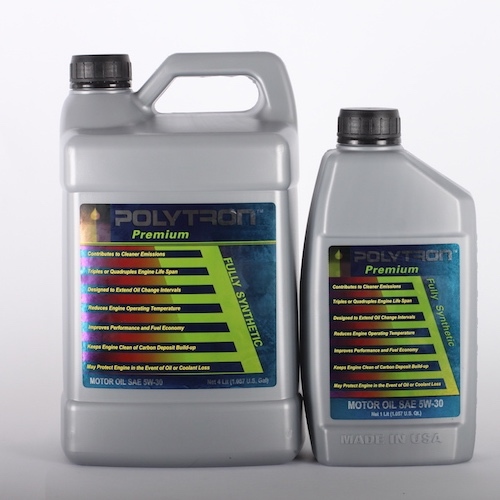 Polytron is designed to provide a protective coating over all metal surfaces within the engine. This protective coating provides constant protection particularly during cold starts when engine oil has settled to the bottom of the sump. When using Polytron for the first time in older machinery or machinery with an unknown service history it is important to follow the “initial treatment” directions on the products label. When performing oil analysis, the first couple of samples after adding Polytron may show elevated readings. This is normal and due to the cleaning action of the product. Ongoing oil analysis will show substantial reductions in particle readings. While Polytron can be added to oil of any condition, its abilities will be enhanced if it is added to fresh, clean oil. Care should be taken not to overfill your engine. The addition of Polytron may result in increased idling RPM due to a reduction in friction. Re-adjust idle RPM to the equipment manufacturer’s recommended setting. Turbo Chargers - Polytron will reduce the friction and heat associated with turbo chargers, and prevent carbon build-up. Polytron is not a cure-all for mechanical problems. In some cases the detergent effects of Polytron may expose pre-existing problems, eg damaged seals or gaskets. Polytron is compatible with any kind of metal components and seals. Add Polytron at a ratio of 10% of the sump volume, using your existing oil. Run the engine for approximately 1.200 km or 8 hours before performing an oil change and replacing the oil and filter. Add Polytron at a ratio of 10% of the sump volume with each oil change as recommended by the engine's manufacturer. Polytron Fully Synthetic Motor Oils SAE 5W-30, 5W-40, 10W-40 and 15W-40 are high performance oils designed to meet the latest car manufacturers warranty requirements. Polytron Motor Oils are specifically formulated to meet the demands of the small displacement high RPM fuel efficient engines found in today's domestic and foreign automobiles. These engines experience higher operating temperatures and require motor oil which offers maximum protection against both viscosity and thermal breakdown. Thanks to Polytron MTC that is part of the additive package, oil change intervals can be extended to up to 50.000 km or more in cars that are still in reasonably good working condition. The Polytron oils are 100 % synthetic blend of the highest quality base oils and special additives that contain Polytron MTC which protects against high temperature oxidation, wear, and viscosity breakdown. They are fortified with detergent-dispersants and rust and corrosion inhibitors to keep engines exceptionally clean and free of sludge, varnish and rust. Polytron MTC provides considerable reduction in internal friction between moving engine parts which can mean improved fuel economy in addition to wear elimination, versus other products of the same viscosity grade. Polytron Semi-Synthetic Motor Oils SAE 10W-40 and 15W-40 are a blend of premium synthetic base oils, Polytron MTC and other selected additives, designed to give excellent performance in all recommended applications. Polytron Semi-Synthetic engine oil contains an effective detergent-dispersant which keeps the EGR engines highly clean. These are additionally fortified with oxidation-corrosion inhibitors, foam inhibitors to protect vital engine parts from scuffing and wear and to protect bearings from corrosion. Thanks to Polytron MTC that is part of this motor oil, oil change intervals may be extended to up to 25.000 km or more in engines that are in reasonably good operation condition. Lower fuel consumption and reduced hazardous particulate matter in the exhaust gasses. Polytron RACING TECH 4T engine oils are formulated from a special selection of high quality solvent refined and hydrotreated base stocks and synthetic components (SAE 10W-40 only) and a high performance advanced additive MTC technology system ensuring excellent piston and ring deposit control at high temperature and high speed operating conditions and the anti-wear agents present in the additive system minimize engine wear at different engine speeds and loads. The multigrade engine oils Polytron RACING TECH 4T are designed for use in modern four-stroke gasoline engines of motorcycles, both air and water cooled, demanding API SL and JASO MA2 performance level lubricants.